Do you see football through a similar lense? Do you feel you the ability to write articles almost as terrible as ours? 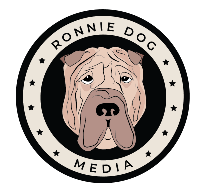 Then you should definitely get in touch and join the 140+ writers, podcasters and general hangers-on at Ronnie Dog Media. Simply contact us and our Top Dog will get back to you with an information pack. What the Premier League Can Learn From Brexit?